Carrara White Chevron 12x12 Interlocking Polished. 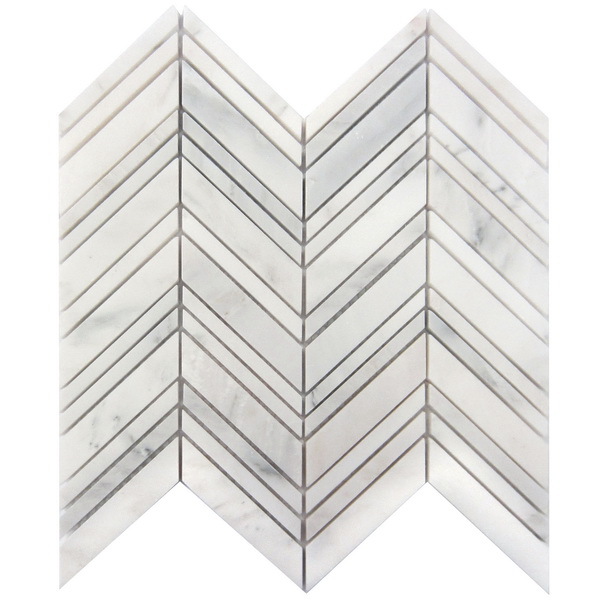 SOLD BY BOX OF 10 TILES / 8.80 SQ FT.
Carrara White Chevron 1 in x 4 in Interlocking Polished Marble mosaic tiles on a 12x12 mesh back are elegant and understated with their shades of whites. Best uses backsplashes and accent walls in both residential and commercial projects. Beautiful tile, would purchase again!